Kushigin has nice lunch sets! Kushigin interior, originally uploaded by Camemberu. On my way to Noodle House Ken's today, I got distracted by Kushigin which I have been meaning to try. They have some very reasonable lunch sets (various combinations starting from S$10 for kushi age or maguro tataki to S$18 for unajyu). 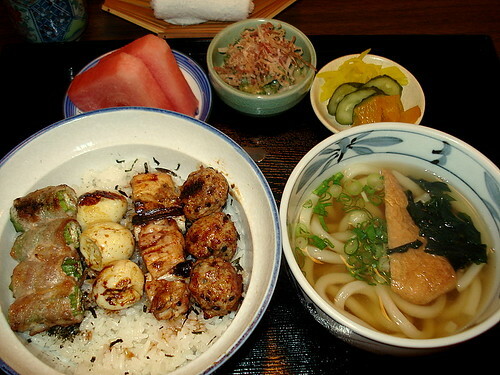 Yakitori-don and Inaniwa Udon Set, originally uploaded by Camemberu. Since it's a yakitori joint, I had to try some of its grilled goodies. I chose the Yakitori-don and Inaniwa Udon set (S$13). Lots of pickles to go with the rice and an appetiser of sliced lady's fingers/okra in some sticky-gooey fermented soybean-mountain yam concoction, topped with shredded bonito. A bite of that and a slurp of the noodles - bliss! The udon was nicely done, soft but with tensile bounce, in comforting dashi stock with slice of sweet beancurd and wakame (seaweed). Even the spring onions tasted good. 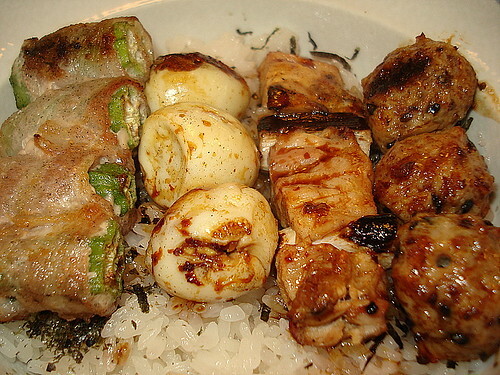 Close-up of Yakitori-don, originally uploaded by Camemberu. And the yakitori? Wonderful! There was bacon-wrapped okra, quail's eggs, chicken with leek, and tsukune (grilled chicken meatballs - at least I think they were chicken). Each offered a different taste but all were well-seasoned and grilled to aromatic perfection. The rice too, was good quality, proper Japanese short-grain rice - unlike what I got at Akashi. 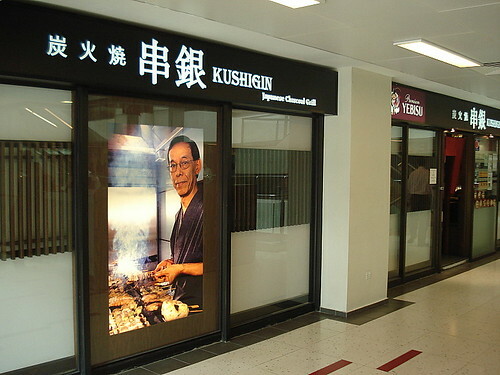 Kushigin at Cuppage Plaza, originally uploaded by Camemberu. I'd love to come back and try the grilled eel or salmon. Prices look pretty reasonable for a la carte too. 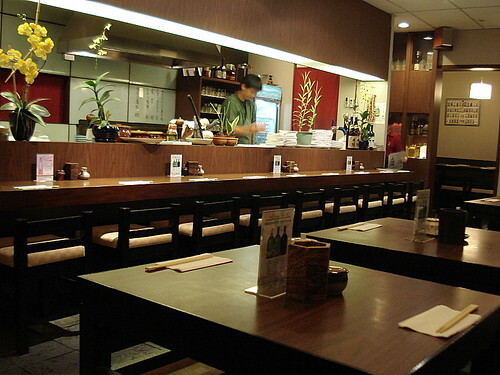 If not mistaken, could be less pricey than Wahiro's sister joint Kushiyaki. I need to try Kazu too...someday. Quote: "I need to try Kazu too"
Goodness knows how much time (and money =S) I've spent a Kazu... I need to find a good yakitori joint in Manhattan! so they've been pretty consistent in the food! And I think the price is very reasonable with such generous portions! Yummmm.. I will go there again. Finally found a good eat at that area. With No-Knead Bread, Who Needs Gardenia? World of Warcraft: Wrath of the Lich King!